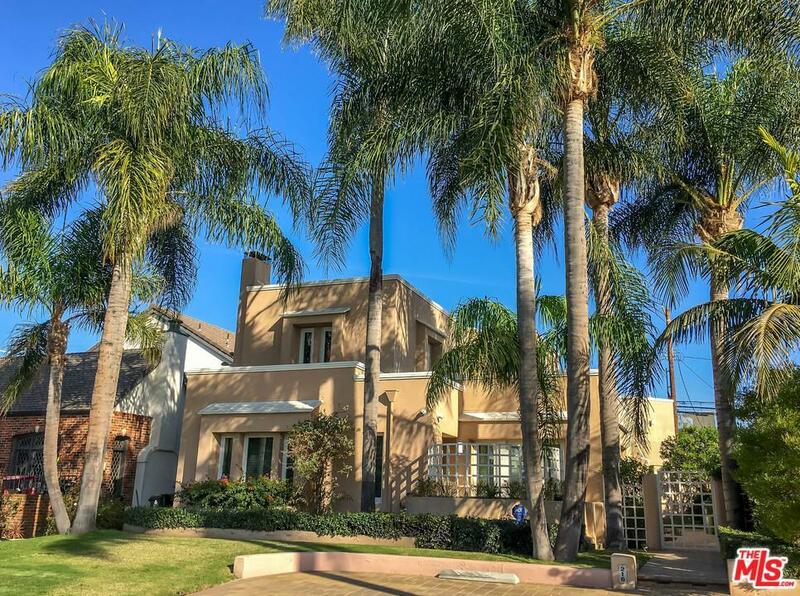 2 story Postmodern single family home in Windsor Square. Remodeled in 1987, this home features a formal living room w/ fireplace, formal dining room, powder room, Open spacious kitchen. Three bedrooms and 3 bathrooms. The Master suite includes a fireplace, walk-in closets. Attached office overlooks the backyard. All windows were replaced in 2016 by Renewal by Andersen. Guest house above the garage has its own ~ bath, kitchenette, and deck. Perfect for guests, in-laws. In the heart of Larchmont Village, short distance to shops, restaurants, coffee shops, spa, Flywheel, Pilate's studio and Sunday farmer's market.Per R.E.S.T. approx 3500 square feet including guest house. Buyer is advised to independently verify the accuracy of all information. Sold by Cherie Peters BRE#01316847 of Berkshire Hathaway Homeservices California. Listing provided courtesy of Jean-Pierre Provo DRE#01316847 of Keller Williams Larchmont.